The light and sound show at Agra fort showcases the history of the city and its monuments. This atmospheric open-air program is delivered in Hindi and English, and narrates the stories of the rulers and poets and people of the region. 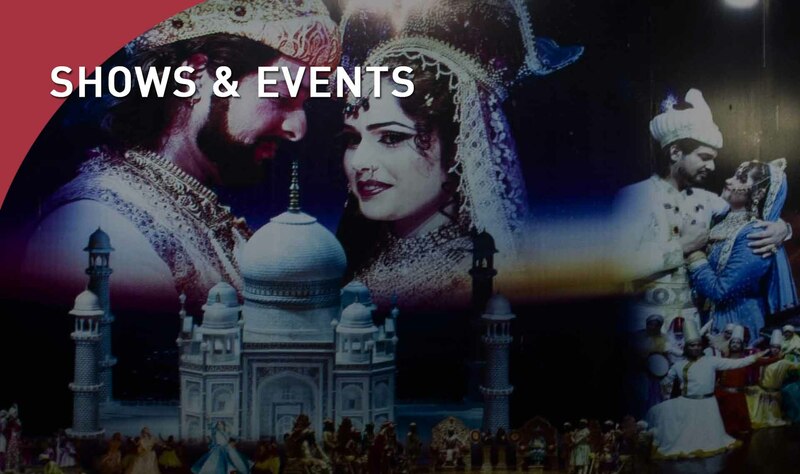 The musical extravaganza Mohabbat the Taj, is a nightly dance and drama show that narrates the love story of Shah Jahan and Mumtaz Mahal, the imperial court of Agra and the making of the Taj. It ends with a buffet dinner at one of the local Agra restaurants. The show includes round-trip transport from Agra hotels.